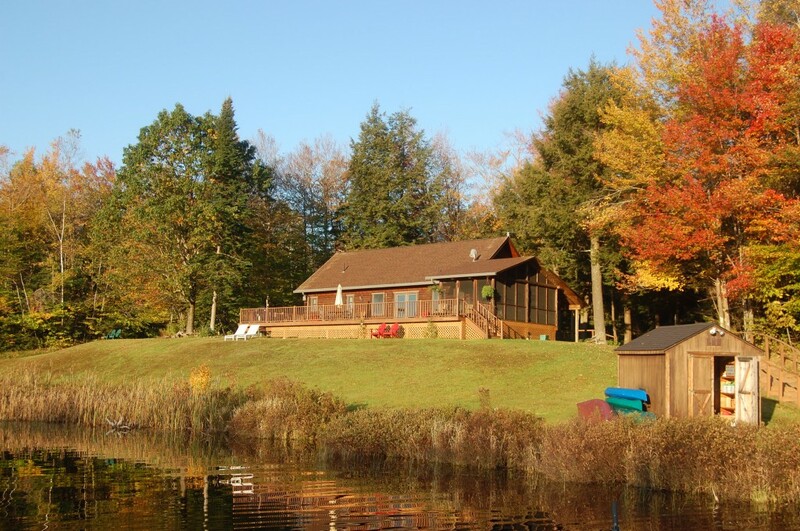 The Log cabin is ideal for relaxing and telling fish stories. Of course if you lose your favorite lure just visit our tackle shop which is specifically geared for Palmer Brook Lake. Our cabin is fully equipped with two bathrooms, a 12×20 ft screen porch, and a wood stove to warm up to on those chilly days out on the water. Or relax on our large outdoor deck overlooking the lake. A gas grill is available to cook your own burgers and hot dogs. Beverages and snacks are for sale in the clubhouse. Call today for more information 413 243 5761.